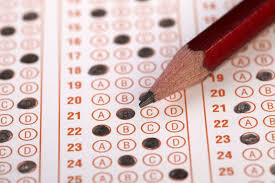 Home » Articles » Test Yourself before You get Tested in Exams! Test Yourself before You get Tested in Exams! Test mean take measures to check the quality, performance, or reliability of (something), especially before putting it into widespread use or practice. This deification shows that test measure your ability and work performance. In this article we will provide the some useful tips that how you can test yourself before you get tested in exams from the others. Tests and exams are the most important terms which a man faces in the life for the study or for a job. Many strategies go into strong test preparation and test-making. To improve you own test-taking, you can start by learning about how to the brain/memory works. The first step is that if you are the students then attend the class regularly. Keep up with readings, and take notes of the important topics. If you are getting for the job test, then keep up with your work. Read the related information about your job description. Always keep your ears open in the class because your professor will sometimes come right out and tell you about the exam pattern, process or anything related to test. You should focus on the lecture and organize the lecture notes after the class. On the end of any session you should review the test pattern. You should test yourself by the answering the question which are asked at the end of any chapter. Preparing certain things night before an exam can help distress and slow down your morning to allow yourself to wake up and get ready with ease and peace of mind. It means that when you are prepred for the exam or test then you will sleep with the confidence and peace. Things to prepare t the night before should be first and foremost your materials related to the test. It is very important that in the morning you’re focusing on waking up both your mind and body so that your whole preparation should be completed. In the morning complete the testing materials and revised the test which was prepared in the last. Before you get in the exam, find out details about the format of the exam. If you are the student then ask you professor if you will have to write any essays. You should also know the rules of the test day. If you will know then you will not face the any problem. Develop a study plan specifically for the exam. This includes knowing what the test is covering, organizing the materials needed for studying, planning out your study time to ensure you have time to cover all areas, and choosing study techniques that fit the material and exam. Use specific study strategies for reviewing and testing yourself on material. You should not use the exact same strategies that you use for note-taking, completing homework, etc. Find ways to test yourself to reveal what you know and what you need to spend more time learning or practicing. Form a study group when possible and use the time to test each other on information, do practice problems, and talk through difficult concepts. Vary your process. Study different things in different places in different ways. As we discuss in “The Memory Process,” the more ways you encode information, the more pathways you have to retrieve it again when you need it. Give yourself time to practice recall. In the last 48 hours before the test, try to focus on recalling information, not on learning new information. Use self-quizzing, practice problems, etc. to prepare yourself. Be sure that before the test you are mentally and physically prepared through strong study practices, good nutrition, and sufficient sleep.